We took a small group of VestedAngels to Kenya in December to allow them to meet with our two portfolio companies in the country (Mobius Motors and Umati Capital) and some of the entrepreneurs, investors, journalists and government officials that are playing an active role in the country’s economic growth. The objective of the trip was to allow each VestedAngel to form their own opinion based on what they saw and heard, gain insights about the problems that need to be resolved, learn more about the obstacles impeding the growth of early-stage companies in these markets and leverage that experience in the future when making decisions about investing in Kenya and other markets like it. Peter Braxton, one of the VestedAngels on the trip wrote blog posts to describe his experience—you can see his post here. Prior to taking the trip, one of the questions we regularly asked ourselves was: how do we get prospective investors to view the opportunities we see in developing countries through our lens? The trip showed us that the most compelling way to get others to see things through our lens is to allow them to experience it firsthand. Let them meet with the highly-educated entrepreneurs who gave up lucrative opportunities abroad to return to their native countries to build a company that addresses a glaring need in the market. Let them experience the thrill of seeing a company that’s “disrupting” a market by slightly tweaking tried and true strategies and technologies that are already being employed elsewhere. Help them understand how the regulatory environment impacts the operations of businesses and hear whether fraud and political/social instability is as pervasive as they assume. Show them the effect that lack of access to capital is having on scalable ventures. And, perhaps most importantly, let them truly connect with the people and see that they have the same needs, desires, intellect, capabilities and drive as those that they interact with back home each day. No matter how many times I’ve heard the words “no, this is too risky” or “I don’t invest in developing countries” (or the many other variations of rejections), there isn’t an iota of doubt in my mind about whether we’ll be able to deliver competitive returns to our investors by investing in early-stage companies in developing countries such as Kenya, Ghana and Nigeria. Educating investors about the story behind these emerging markets is a major part of the equation for us and other investors in developing countries. We need investors to understand that the FIERCE (Fraud, Instability, Expropriation, Regulatory, Currency and Enforcement of Contracts) risks they’re concerned about are frequently overblown and can often be mitigated. To take advantage of the opportunities, investors must challenge the negative perceptions they have of the regions where we invest and instead view these markets as ripe for growth. Investors should understand and appreciate how deploying capital to these countries can serve as a catalyst for transformation and mutually beneficial wealth generation. History, logic and recent trends reinforce these points. In the 1960s, the period immediately following the end of colonization in much of Africa and Asia, Singapore, Hong Kong, South Korea and China each had GDP per capita equivalent to that of Kenya, Ghana and Nigeria. After the Korean War, South Korea was one of the poorest countries in the world and one of the largest recipients of aid. The economic divergence that has occurred among these countries since the 1960s is clearly illustrated in the following graphs. There are several (complex and intertwined) reasons why this occurred. I won’t go into specifics here but the consistent themes appear to be: increased agricultural productivity, growth in industrial production and manufacturing capacity, and, eventually, continued economic growth driven by the services and information technology sectors. The time for an investor to “catch” South Korea, Singapore, and Hong Kong at the beginning of their extraordinary growth trajectory was almost 40 years ago. At the Milken Institute’s Global Conference in 2015, Scott Minerd of Guggenheim Partners described the opportunity to invest in Africa as investing in “Asia in its early days.” He explained how he missed the opportunity to invest in China in 1991 (before China’s economic growth began to take off) and how western investors should not let the “peculiar” conditions in many African countries deter them from investing in those countries. The message we consistently preach to our VestedAngels is that those willing to swim against strong currents of public perceptions today will reap the benefits of Africa’s growth tomorrow. We also encourage them not to let one bad experience taint their view on investing in these markets. Would you refrain from investing in publicly traded stocks in the U.S. simply because you were burned as an investor in Enron? I doubt it. I encourage anyone who is skeptical about whether they should be investing in countries like Kenya, Ghana and Nigeria to travel to those countries, meet with as many entrepreneurs as possible and get varying perspective on these markets while there. If you walk away with the opinion that there are no good investment opportunities in these countries, or that investing in these countries entails risks that cannot be mitigated, then you’ve done your homework and are making an informed decision based on your experience. However, if you decide not to invest in these markets without the benefit of experiencing them firsthand, I believe that you risk missing out on the growth of one of the last economic frontiers. We look forward to sharing this authentic, enlightening experience with other VestedAngels and interested individuals. Perceptions and realities are a part of the human experience. Before we experience something firsthand, our thoughts, views, and opinions about that thing are usually based entirely on secondhand knowledge and circumstantial experiences—including what we read, see on TV, hear from friends and experience in other settings. While my career as a banker and investor required that I become familiar with the realities of investing in markets across the world, I viewed Africa as an undeveloped market, not yet ripe for investment—a view largely based on secondhand knowledge and circumstantial experiences. That all changed on my trip to Kenya with Euler Bropleh, founder of VestedWorld. Before arriving in Nairobi, I was full of doubts with respect to investing in Africa, including the following: Can you even exit an investment in a private company in Kenya? Isn’t it difficult to repatriate capital gains? Is the socio-political and economic environment favorable for private debt and private equity/venture capital? On my trip, it became clear to me that Kenya has a marketing problem—it deserves a different label than “Emerging Market.” Perhaps “Underserved Market” or “Fertile Market” are better descriptors. The country possesses a tremendous amount of natural resources, and an eager workforce hungry to climb into the middle and upper classes. So, what is missing from rapidly propelling this country, region, continent into developed world status? It’s pretty simple actually—access to capital. This became blatantly clear as I progressed through VestedWorld’s guided but unfiltered, five-day crash course on the entrepreneurial ecosystem in Kenya, where I met over a dozen companies and 20+ entrepreneurs, investors, executives, advisors and journalists working across industries from manufacturing, to agribusiness, to financial access, to education and even film production! We met company after company that serve as innovative keystones in logistics and distribution, each seeking capital to hire and expand. One company is reimagining the logistics of the humble banana and other produce, increasing the profit to the farmer and lowering the cost to the retailer. It’s a yield play: if you can manage to salvage 25% of the total sellable product through careful storage, handling, and transportation of the produce, you can increase profit by, well, 25%!! It’s a no brainer. However, they’re constrained by the size of the warehouse and the number of reefers—refrigerated shipping containers—they can buy. We met with several companies in this position—capturing and cornering markets with improved yield, reach, and margins. Collectively, they could create enormous amounts of jobs and kick the local economy into a different gear, if they could only access private capital. Take, for instance, Mobius Motors. Founded and led by entrepreneur Joel Jackson, a British computer science graduate, Mobius is Kenya’s only domestic auto maker. In 2009, Joel noticed that the biggest obstacle to connecting rural communities with the country’s economy was immobility. The economic impact of being able to physically move goods and services over the rough and unfinished roads outside of the city center can indeed be measured in dollars. But who is there to furnish short- and long-term working capital for an ambitious company that has clearly demonstrated proof of concept and demand for a product: an on- and off-street legal, affordable vehicle, built to last? The new Mobius II has experienced strong sales before production even started. Making the vehicle accessible to the working class is the company’s primary goal. It is now working on making cost effective and flexible financing options available for its customers, which is ironic because Mobius cannot easily access those same options for itself from the financial infrastructure currently in place in Kenya. After driving the vehicle, I must admit, its reach and growth will only be limited by the people who can tell the Mobius story. So many of the companies we met with, both with and without physical collateral, could benefit from accessing capital for expenditures related to growth. These are high growth companies, not startups. No one is inventing new technology here. 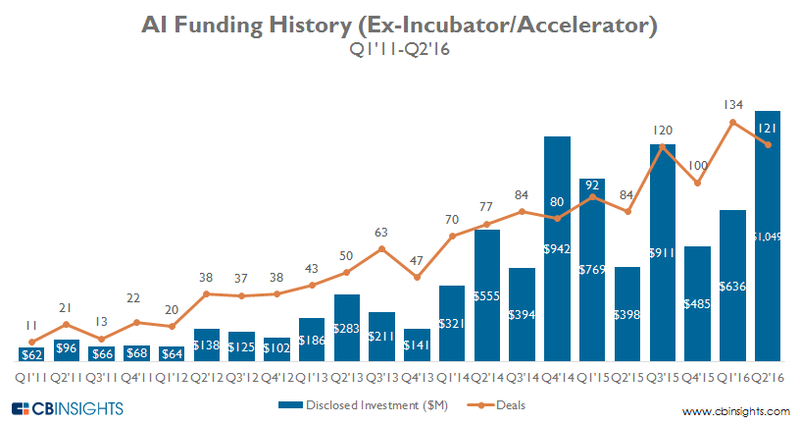 This is not venture investing as we’ve come to know it in the U.S. These are businesses that, if not for their physical location, would have countless options with respect to financing. In Kenya, the options are limited, and tragically take an entrepreneurs’ energy and attention away from growth and management, and unnecessarily places stress, time and attention on raising capital. Earlier, I mentioned that the trip was guided but unfiltered. While we met with many people who were very optimistic about the economic prospects in Kenya, we also met with several who spoke candidly about the challenges they’ve faced in building their businesses – corruption, uncertainty, lack of access to capital, dearth of a true middle class, difficulties in finding talent, challenges importing/exporting goods, and poor infrastructure. I appreciated hearing about these issues. I didn’t leave the country feeling as if I had only seen it through one lens. Those differing points of view helped me contextualize everything I heard and contributed towards shaping my views on whether Kenya is a place where I should invest. The people we met with were all highly educated and could be working in a more developed market and living a life that is “easier” in many ways. However, each person (even those that had experienced significant challenges in Kenya) said that they decided to stay in the country because they believe that there are real opportunities to build viable and profitable businesses that will help make them wealthy. Regardless of whether risk is appropriately priced, capital, and the access to it, remains unnecessarily restricted—presenting, in my opinion, a greenfield opportunity for the right investors to bridge performing assets and companies to higher growth trajectories. These investors will be handsomely rewarded. As a “Family Office Delegate” from the United States, where margins are compressed in every financial instrument and facility there is, I seek risk-adjusted returns where, quite frankly, access and imbalances like the ones mentioned above can be exploited. From what I saw, and from the conversations I’ve had with the VestedWorld team, I believe that VestedWorld is well-equipped and prepared to be one of those investors who will reap the benefits of being an early mover in markets like Kenya. VestedWorld identifies both short and long term investments, using traditional developed market investment prudence, technology, experience on the ground in the market, and their own GP commitment…they put up their own capital, a hallmark of confidence and due diligence. By targeting early stage companies that create jobs and fuel economic development, VestedWorld is committed to reflecting their values by providing access to prosperity for those who want it. Nowhere above have I mentioned social impact. This is not a social impact exercise, it’s the practical application of capitalism. The social impact is a healthy byproduct of people and organizations making money and spending it. Fast moving consumer goods, food, sanitary products, and even chewing gum provide not just discretionary pleasures and basic human requirements, the consumption of such goods provide jobs. High quality entrepreneurs, creating jobs, and elevating a population to the middle and upper-class within a generation is not just good for the region and the world, it’s good for the investor. For those with an asset allocation sophisticated enough to have a tranche of capital that is patient, long-term, and seeking competitive returns, you’d be well served by having a conversation with VestedWorld. I’ve gotten too carried away and haven’t said enough about the exhausting, yet life-changing, trip that the VestedWorld team organized—I’ll have to save the rest of my stories for another time. I will say that Kenya is a beautiful country, full of hope and opportunity. We concluded our trip with a 3-day visit to Enasoit Game Sanctuary, with thousands of acres of preserved and conserved land, populated only by wild and majestic animals. It was a great place to rest, reflect, recharge, and take stock of my station in life. My life is checked and balanced by a healthy respect for creating value and creating choice. In Kenya, some perceptions were dispelled and a reality affirmed. It is a market ripe for investment capital and opportunity to create and develop wealth. It’s an economic story worth telling. You should visit for a compelling story of your own to tell. Peter Braxton is Managing Director and Chief Operating Officer for DOM Capital Group, a private investment firm that invests in emerging consumer businesses. He is a serial entrepreneur, seasoned investment professional and decorated Air Force pilot. Peter lives in Chicago, Illinois. Why We Invested In Beacon Power Services; Giving Businesses Back Their Power. It’s a statistic that gets shared a fair bit; only 1 in every 3 Africans has access to electricity. 600M of the ~1Bn people residing in the 54 countries of the continent do not have electricity. As much as this is a problem, this is also an opportunity that will be captured by companies that bring resources — in the form of talent, technology and money — to bear. Key to capturing this opportunity is a deeper understanding of what the structural problems are. This deep understanding informed our investment in Beacon Power Services. 1. Capacity: not enough power to supply the needs of the people. 2. Inefficiencies: little insight into where the little power that is available is needed. 3. Cost: consumers are paying unfairly high prices for the little electricity they do get from their utility. Most analysis of the situation focuses on the lack of capacity to cater to the need of the populace. True, capacity is still an issue; South Korea with a population of 50.2M residents generates 550 TWh of electricity, the continent of Africa with a population of 1Bn produces only 100 TWh’s more of electricity. The countries on the continent would need to spend $40.8Bn/yr for the next five years to get things up to par. There are a few large scale projects going on to solve the capacity issue. I will touch on these later after a brief review of the 3 issues. The most obvious country to touch on, due to the size of its market, in an analysis of capacity issue is Nigeria (the #1 economy on the continent). Plagued with a shortfall that has existed since Independence from the United Kingdom in 1960, the issue has gotten chronically worse since the 1990/early 2000’s when no additional generation was built and reforms (especially the 2005 National Power Sector Reform Act) were put in place. These reforms transferred the burden of new generation capacity onto the private sector. With the poorly framed regulations the private sector (for the most part) stayed away. This worsened the shortfall. Needing 10,000 megawatts, the capacity in Nigeria dropped to 3586 megawatts on October 10th 2016, just over a third of what is required for the whole country. The government, and the private sector entities that bought into the opportunity through the purchase of the transmission and distribution companies (DISCOs), is bogged down with low oil prices (tough for an economy that was receiving 70% of its revenue from oil) and compensating the brave businesses that jumped in. This has led to neglect of the populace with week long blackouts a regular occurrence. To allay their pain, commercial entities (and a large proportion of the wealthy residential populace) have taken matters into their own hands and purchased diesel powered generators to power their operations only relying on the government managed power grid as backup power supply. Residential and commercial customers are begging for a solution and this is being provided by a slew of smaller privately held companies who, unable to build power plants that cost billions of Dollars are resorting to replacing the aforementioned diesel generators, with solar power at an increasing pace. It’s where a company like Beacon Power Services comes in; with an understanding of the capacity needs based on the acquisition, monitoring and management of data from thousands of commercial facilities, the company installs right sized solar panels and backup diesel generators to cater to the needs of the consumers. On the utility side Beacon ensures that the insufficient power that the utility generates is efficiently distributed; commercial buildings get some of their power from the grid during the day (when workers are in the office), lose their grid supplied power during the night time (when the workers are in their homes) and the utility can provide the power to consumers as they power their television sets and make dinner for their families at home. It’s the power of using data-driven insights to meet customized electricity needs, despite constrained capacity. While there are inefficiencies in the allocation of power to customers across the continent, most of the inefficiencies in the Kenyan electricity market (our country of choice to discuss the 2nd power issue) lie in policy making . The allocation inefficiencies can be solved using software (as Beacon does) but the policy inefficiencies will require more creative approaches. In the 1990’s Kenya power market reforms led to the creation of an independent regulator, Kenya Power and Lighting Company. Shortly afterwards, the markets were deregulated but the structures put in place did not truly allow for competition, as Kenya Electricity Generating Company (KenGen) had the benefit of managing all publicly owned generation and transmission facilities; independent power providers did not have the capital base to adequately compete selling electricity to consumers at a price that was anywhere close to what KenGen could provide to customers. The country has committed to increasing its current capacity to 23,000MW by 2030 and the bulk of this is expected to come from renewable energy (a good thing). Key is to ensure that the allocation of the capacity, including the purchase of the power is done effectively with a recognition of the most cost effective sources of energy. Where policies prevent true competition the monopoly can charge an undeserved premium while keeping the prices prohibitive for their competition to match. And this is where we get to the third most important factor in the woeful power situation in Africa; cost. South Africa (our 3rd country for the 3rd factor) has been able to manage both the capacity and inefficiency issues better than all the other countries on the continent. The country focused its efforts over the last two decades on restructuring what was a fragmented electricity distribution sector and unbundling its utility (Eksom). The country has also been able to manage costs, unlike countries like Gabon and Djibouti, that have the highest electricity rates in the world. To achieve these cost benefits the government of South Africa embarked on aggressive implementation of renewable energy projects working with private companies and committing $19Bn to projects that totaled ~6700MW. This has had a net effect of dropping electricity tariffs (which averaged ~14c/kWh in other parts of Africa and calculated as high as ~50c/kWh in some rural parts of Nigeria) by 78% for solar and 48% for wind. The bulk of these projects, as mentioned, were in conjunction with private firms at the grid-scale. Renewable energy projects, at both the small rooftop solar and grid-scale, are the best way to bridge the capacity gap in these countries cost-effectively. No one is building $6Bn centralized power grid systems anymore. Private companies, small and large, are willing to fill the gap left by governmental inefficiencies and provide power to desiring citizens and businesses. These businesses just require government to mitigate the risks of their investments utilizing policies borrowed from developing countries but customized for local structures. Innovation at the entrepreneurial level will lead to cost effective power generation which will translate into affordable power for consumers. So Why Beacon Power Services? We invested in Beacon Power Services for two reasons; the opportunity and the team. The opportunity I’ve explained above. But it’s not as important as the team. Based on his experience working on large scale utility transactions here in the US (and an understanding of the convergence of trends shared above), Bim Adisa decided to launch Beacon Power Services in 2011. At launch the company focused on energy efficiency projects for multi-location small commercial entities like banks and fast food centers. At the core of the BPS product was a data collection meter and analytics to determine what energy efficiency actions the client would need to take. The data was also used to assist the clients in right sizing their diesel generators and consequently reducing expenses. Client locations increased, so did the data being collected and BPS became more of a partner and less of a vendor to these clients. It didn’t take long for the clients to realize that they could outsource their power generation and hand over total management to BPS as a nano or minigrid provider. The nanogrid/minigrid provider model, where BPS acts as the utility for single but aggregated locations, takes advantage of the 3 learnings mentioned above providing value and capturing some as the utility of old would do (monthly fees paid for the supply of electricity/services). As one can imagine working in markets where the need is large, it is not without its difficulties. That’s where the tenacity and integrity of the founder comes in. Bim Adisa, and his core management team, has these in infectious and abundant supply; dealing with businesses in Nigeria brings out the best in Bim and we are proud to work with him as he tackles these problems from the bottom up. He’s been doing it for the last five years and we are seeing the possibility of an inflection point due to acceleration of the trends above. Prior to founding BPS, after having obtained his MBA from Northwestern University, Bim worked as an investment banker for Deutsche Bank (In New York and Chicago), covering the renewable energy sector. He advised utilities such as Exelon on mergers and acquisition of power plant assets, worked on initial public offerings for manufacturers such as First Solar, and led project financing efforts for multiple renewable energy projects. He knows this space and knows West Africa, we couldn’t have asked for a better combination of expertise. The usual narrative about power in Africa is one of dire need to be solved by charity and impact activities like ‘handing out solar cooking stoves to villagers’. While these are helpful, they are not as impactful in moving continental power provision forward in the leaps and bounds that is required to bring 600M people into the world economy. In our work with Beacon Power Services we see that the only thing holding back seed stage investment in companies is a need for investors to shift their thinking from assistance (small scale donations that provide power to a village) to a partnership mindset (investments made based on analysis of the return possibilities and the ability to provide power to millions through large-scale projects). We need large scale changes, we can only achieve the large scale changes by looking at Africa through business lenses, not just purely impact. It’s those lenses that we look through here at VestedWorld. With the continuing devaluation of the Naira (Nigeria’s currency) and the impact it’s having on doing business in one of the largest markets in sub-Saharan Africa, we thought it would be a good time to share our thoughts on the “C” in our series of posts about the FIERCE risks (Fraud, Instability, Expropriation, Regulatory, Currency and Enforcement of Contracts) and the questions we hear from our VestedAngels. We’ve covered the Fraud and Instability elements in previous posts and will dive into how we think about Currency risk below. First, some context, using Nigeria as an example. The Nigerian government, in an attempt to tighten capital controls and defend the Naira as oil prices started to fall, pegged the Naira at 197 – 199 Naira to the U.S. Dollar. This at a time when the black market exchange rate was ~N250/$1. Unsurprisingly, this peg, exacerbated by falling oil prices and depleting foreign-currency reserves, created a boom in black market currency trading as legitimate (multinational corporations) and illegitimate (black market arbitrage) businesses continued to need Dollars for their operations. The peg (artificially holding a currency at a level) disrupts business as usual as companies hesitate to import/export goods at an exchange rate that is not reflective of the demand/supply in the market. In June of 2016, the government removed the peg and allowed the Naira to float. This has resulted in the drop in value you see in the chart above—the interbank exchange rate for the Naira is currently ~N305/$1; however, inflation continues to plague the black market value of the Naira. This currency devaluation situation is playing out in other emerging market countries as well—especially those where oil is/was a big part of the economy (e.g., Angola, Algeria). However, business must go on for early-stage companies as well as multinationals. · How will devaluation of a local currency affect the Company’s strategic positioning? · In what way is the Company exposed to currency fluctuations, and does this structural exposure act to the Company’s benefit, detriment or some mixture of both? · How much of the currency risk can / should be priced into the initial investment? · How will an investment into the Company affect our overall exposure to a single currency, and how does that exposure correlate to portfolio investments in other countries (e.g., across the oil-dependent nations)? As with our other “FIERCE” posts, we will briefly explain how the answer to each of these questions helps guide our investment decisions. One type of investment that is consistently attractive to the team here at VestedWorld is so-called “import replacement.” With ~$450 billion in imported goods and services in SSA (2015) , there is no shortage of these opportunities—while some of this imports are commodities that are scarce on the continent, a significant portion can be attributed to goods that are (or could be) readily produced in the local economy (e.g., palm oil, fertilizer, processed foods, etc.). In many places, the low price of imports for these goods relative to the high costs of local production has resulted in an overreliance on imports and on foreign currency reserves, and thus exposure to fluctuations in the exchange value of the local currency. However, devaluation of a local currency for a company producing locally and selling locally, an exchange rate woe that has beset its international competitors can actually be a boon. For example, palm oil producer Presco (operating in both Benin and Nigeria) has seen a 60% increase in its revenue to $24M in just six months. An investment at the right time, in a more valuable foreign currency, can actually be used to catalyze the local production of an imported product, where all inputs are sourced locally and outputs are sold to local consumers—this results in a currency alignment of inflows and outflows where future volatility in the currency may have a reduced impact on the sustainability and growth potential of the business. However, this benefit only exists so long as the purchasing power of consumers is sufficient that demand for the product (at a now lower price) doesn’t fall below sustainable levels. · The highly unlikely situation of a downward drop in the dollar (reducing profit by impacting revenue) would affect MoringaConnect’s margins (reduced revenue) a lot more than a decrease in the value of the Cedi (increasing the cost of produce but not the revenue) would . · To summarize, should MoringaConnect continue to see increased product sales in the US, at the same time as the Cedi falls against the US Dollar, the company will see increased margins as the relative cost of their inputs (Cedi denominated) goes down. It results in a mismatch in the exposure of the inputs and outputs to the currency cashflows. What should be clear from the preceding two paragraphs is that some of the currency-related risks can be naturally hedged through a choice of market, product, and business model, but also that not all the risk can be mitigated in this way—this remaining risk can often be priced into an investment. The ability to factor changes in a local currency into financial projections help make currency fluctuations more manageable. While larger corporations often hedge this risk using financial instruments, this option is usually not available to the companies we invest in, due to the costs involved. Instead, we sensitize all of our investment decisions around the risk of various levels of currency devaluations to determine whether the returns our investors expect are achievable under a currency stress test. The results can sometimes be encouraging, especially where the natural hedges provide a cushion, but in other cases it may simply not be fair to the entrepreneur to price in excessive currency risk due to current levels of volatility, and it is in those situations where we have to pass on an investment. Where currency risk cannot be managed through financial instruments, we favor companies that source production inputs locally instead of internationally or work with the companies to determine how much of the increase in costs as a result of currency devaluation can be passed on to the customers. Additionally, as our portfolio companies mature, new tools become available to them. For example, guarantees are available from global entities like the International Finance Corporation to enable a business access debt capital to serve its needs [PDF]; the IFC offers a Partial Credit Guarantee (PCG) that enables a company, especially one domiciled in a high-risk market, access to capital. How do we at VestedWorld assess and manage the currency risks at the portfolio level? One way is through a diversification of our portfolio. We have investments in four countries and in four industries and consider this two layers of hedging. If managed properly, macroeconomic swings driving currency fluctuations will benefit one of our companies in one country even as it negatively impacts another. Moreover, it is not enough to view it simply on a country-by-country basis: we must also take into account the correlation between the countries, their economic reliance on certain sectors, and the prevailing macro headwinds/tailwinds. For example, McKinsey’s Lions on the Move II report clearly shows how the economic situations have diverged between the sub-Saharan economies that are reliant on oil, and those that are not—the former’s real annual GDP growth for the period 2010 – 2015 has slowed by 3.3% vs. the period 2000 – 2010, while the latter’s has increased by 0.3%. Trends like these have a significant influence as we think about our overall allocation, for example, between Nigeria and Kenya (each belonging to a separate aforementioned category). This methodology shouldn’t be surprising: it’s the same approach to portfolio diversification that countless other investment managers are taking within their asset classes and investing focuses, but applied in a specific way to our own unique investment focus. Additionally, this approach doesn’t fall far from the position that some U.S.-based venture funds are taking by investing in sectors that are, for example, counter-cyclical within the U.S. economy (where they are highly concentrated). We work with our portfolio companies to ensure that these risks are considered in detail because we hear it as an issue that our VestedAngels keep referencing. Like all the other risks, currency risks cannot be managed outside of the context of all the other risks that companies face as they grow. Where the risks are measurable we include it in the spreadsheets, where they are not we assist the company with mitigation. The key consideration is whether the we as the investors feel that the founders know and are doing all they need to mitigate, avoid or manage the risks that are inherent in doing business in any part of the world. Because that’s what it boils down to, business is business across the world. It’s all about the people that you’re doing it with and we believe the founders we work with would be great entrepreneurs anywhere in the world. They just so happen to have chosen to create impactful businesses in sub-Saharan Africa. McKinsey Global Institute – Lions on the Move II (September 2016). Everyone agrees that innovation abounds everywhere in the world. It’s why Steve Case is making investments in Kenya and Mark Zuckerberg is making investments in Nigeria. The ubiquity of technology and the human desire for the most basic needs to be satisfied ensures there will be companies that spring up everywhere. At VestedWorld we scout the world for investments, with a focus on emerging markets. My colleague Jeff is currently in a town whose name could not be pointed out on a map. He’s carrying out diligence on a company founded by a Harvard Business School grad who has seen a gap in the market for a product with increasing market size. These opportunities still exist aplenty in emerging markets. So what does due diligence look like when these sort of opportunities present themselves. Before I get to that though, how does one even find opportunities like the one I mentioned above? That’s why we at VW do what we do. We scour far and wide to source out companies that are creating value. Our thesis is ‘core industries updated’. We believe that industrialization happened in the developed countries because the elements of production (human resources, capital and technology) were available. However, while human resources and technology are available in emerging markets, for various reasons, capital is less available to early stage companies in our target industries. people in emerging markets (the human resources) are getting the training and expertise required to create value. In these markets, entrepreneurship is not the ‘other’ option, it is often the only option. When you’ve finished college and there is a dearth of opportunities that enable you utilize your skills, you start a company. An entrepreneur in Calabar (eastern Nigeria) spent several years’ post-graduation looking for companies in the Chemical production space to hire him. He relocated away from the bustling roads of Lagos to improve his chances, ending up in what he thought was a less competitive market. Unfortunately, he was not the only one with that bright idea. Fortunately, he realized he had the expertise to start a soap manufacturing company. In a few short years he has become a large supplier of soap to hotels and restaurants in the city. This is what entrepreneurs in these emerging markets do; they find a real pain and solve it. And then they go out to get the technology to build their businesses. China is the largest supplier of technology to sub-Saharan Africa. We all know that infrastructure and manufacturing capacity to African governments continues to grow. What most might not know is that the small business entrepreneur in emerging markets is also starting to look to Africa for their technological needs. This is happening with hardware but happening at an even more blistering pace with software. You say software is eating the world in the US? Imagine what it’s doing to markets where mobile phone adoption has consistently grown faster than in developed markets. While there is no shortage of grant funding for the small scale entrepreneurs in these markets (some say it’s even a problem), what is missing is Seed and Series A funding for companies that have taken that grant funding and used it to prove there is a business model that works. That’s where entities like VestedWorld come in. There aren’t many funds like ours addressing the needs of these entrepreneurs. The bulk of the funds focused on these markets focus on the ‘impact’ element of the market. We’re glad these groups exist but equally impactful is funding a company to scale, hire hundreds of employees and create wealth for skilled professionals in these markets. These employees will then take that wealth and create new businesses and hire new employees. And the cycle continues. This is impact we can get behind. So back to the question I raised before, what does due diligence look like in these parts? Diligence is driving 2 hours out of the city to meet with, listen to and exchange ideas with the smallholder farmer that many technology entrepreneurs in Africa are targeting (these smallholder farmers make up ~70% of the workforce in sub-Saharan Africa). Due diligence is stopping to taste the pastries being baked by a company looking to be the Panera of emerging markets. Does the product do what it says it does? Does the company know who its customers are and is the company using the right distribution channels to reach those customers? Who are the customers and can we have conversations with satisfied and dissatisfied customers? How much does it cost to deliver the product to the customer? How much does the company make from selling the product to the customer? How do the financials look? Past information integrity? Future projections looking realistic or aspirational? Do the founders and management team have the integrity we require in a team that is half way across the world? Do the founders and the whole team understand the business? What is the current capital structure? Do the founders have the strategic mindset and the tactical implementation discipline required to win the market? Who else is competing in this space and what are the areas of differentiation? How innovative is this business? How transformative can it be with a little more capital? How does this company manage the FIERCE risks inherent in the market? And many other proprietary questions that we ask based on our understanding of the particular products or markets these companies are in. Due diligence is diligence anywhere in the world. We just so happen to be willing to do it in markets where other people are scared or misinformed about. It’s our competitive advantage in a world of me-too funds chasing the same deals and leading to mediocre return expectations. There is another element to being willing to go to these places; the entrepreneurs start to believe we walk the walk and talk the talk. Trust develops. The entrepreneurs start to tell their friends building awesome businesses. Referrals start to come in from other players in the ecosystem. The entrepreneurs start to reach out and engage with us early in the life of their companies with the knowledge that VestedWorld might be a partner when they get to the stage where outside capital is required. It’s how we keep the pipeline full and the cycle going. We know there will always be great entrepreneurs building great businesses as industries update in emerging markets. That’s one prediction we feel pretty confident making. In our last post, my colleague Jeff Stine covered the Fraud element of the FIERCE risks framework that we use to think about our investments into early-stage companies in emerging markets. In this post, we’ll highlight how the risk of instability (the ‘I’ in FIERCE) impacts our investment decisions. We have conversations with entrepreneurs and VestedAngels daily. Entrepreneurs are optimistic about the businesses they are building, passionate about the problem they’re solving and frustrated about the lack of capital available to fuel their growth. VestedAngels are cautious and ask us questions that can be summarized as “I do not know much about these markets but I know there are opportunities to create and capture value.” Further summarized, these investors are worried about the risks of doing business in a foreign land. In addition to fraud, instability is frequently a major concern. Instability can be broadly defined as risks that create uncertainty and unpredictability, and make situations more volatile and subject to erratic changes. Instability can be caused by politics, economics, conflicts or societal issues. These risks are a nightmare for investors because it’s sometimes difficult to anticipate and plan for them accordingly. Political stability is influenced by the individual serving as the country’s leader, the ruling party, the role of and adherence to the rule of law, power dynamics among various ethnic/religious groups within the country, and regional and international relations, among other things. Economic stability is influenced by a host of factors, including the country’s fiscal condition, prevailing interest rates and banking sector, level of investment (both domestic and foreign), commodity prices, wages, infrastructure and labor markets. Conflicts may result from coups, electoral fraud, internal uprisings, civil wars, regional conflict or terrorism. Societal stability is affected by health emergencies, food security, humanitarian crisis, growing wealth disparity and inequality, levels of education, high unemployment, lack of social services and the dynamics between various ethnic/religious groups. The perceptions that investors have about instability in developing countries are not without basis. Many developing countries, particularly in sub-Saharan Africa, have experienced every imaginable type of instability: Pierre Nkurunziza’s attempt to alter term limits in Burundi to allow him to run for a third term as President; the banking bill in Kenya that caps banks’ commercial lending prices; military coups that were prevalent throughout much of the 60s, 70s and 80s; and seemingly ongoing humanitarian crises across the African continent. Mainstream news media also provides regular reminders of the events that affect stability, so it’s not surprising that most investors feel that these markets are unstable. However, as a whole, we’ve found that developing markets are becoming more stable, and, as they become so, provide a uniquely attractive investment climate for those willing to invest during this period. A study released by Freedom House recently showed that while only 30% of countries in sub-Saharan Africa were “free” or “partly free” in 1973, today that number stands at 61%. Due to an increasing need to access the international financial markets (international sovereign bonds outstanding increased from less than $1B in 2008 to over $18B in 2014) and attract foreign investors, central bank administrators, finance ministers and other government officials across the continent are implementing sound fiscal policies and measures to assure and protect foreign investors. Coups are generally a thing of the past — in part because the African Union has refused to recognize leaders who come to power through coups. And while humanitarian crisis are still regular occurrences, significant strides have been made in combatting many diseases and societal issues that plague many countries around the continent. There are countless other examples of how common perceptions held by investors in the developed world are not in line with the reality on the ground in developing countries. So, how do we think about instability as it relates to our investment decisions? First and foremost, the risk of instability is beyond our control — we cannot influence the political, economic, security or societal stability in the countries where we invest. Therefore, we need to be acutely attuned to these dynamics in the countries where we invest. What is the overall political climate in the country: is there a history of democratic elections and have there been successful transitions of power? What are the major policy platforms of the primary political parties in the country in question? How will the current policy platform affect our investment, and how might a change in ruling political party affect our investment? Are there specific policies in place that benefit (or disadvantage) the potential investment, and how might the investment opportunity change if the policy is reversed? What quasi-governmental or non-governmental bodies are stakeholders in the business, and how might their policies (or a change in such) affect the investment? Example: *Current company in due diligence* — Despite the macroeconomic headwinds currently prevailing in Nigeria, we remain very excited about the potential opportunities in this country. While political turmoil plagued the country throughout the 70s, 80s and 90s, Nigeria has now had a series of relatively smooth elections, and their last presidential election was the first time that an opposition candidate won. This indicates that the politicians are beginning to respect the electoral process as the means for political change. The policies of Muhammadu Buhari and his All Progressives Congress party represent a change in the status quo and may unearth opportunities for entrepreneurs to build new businesses. As part of our potential investment, we will seek to assess the proposed ban of certain imported consumer goods, the effects on the business and the ongoing viability of the business if such policies were reversed. How is the investment opportunity affected by domestic and regional macroeconomic trends? How exposed is the business to domestic economic stability, and are there any natural hedges inherent in the business model? If economic stability is in question, what opportunities might this provide for the investment being evaluated? Example: Beacon Power Services — The worldwide decrease in the price of oil has impacted Nigeria’s economy significantly, with spillover effects on many of the country’s businesses, both large and small. An in-depth review of Beacon Power Services’ exposure resulted in a view that the risk was mitigated by the natural hedge provided by the company’s business model — cost rationalization by Nigerian businesses would likely result in an increased demand for the services provided by Beacon Power Services, since energy prices are often one of the top three cost line items for a Nigerian business. We also believed that the Company would be able to continue to thrive in spite of any potential devaluation to the Nigerian currency because our model used an exchange rate ratio that was even lower than the black market rate and we projected further depreciation in the currency over the life of our investment. To date, our views have held up, with the Company receiving a significant increase in inbound requests for services and the currency depreciating after the Central Bank of Nigeria allowed the currency to float. How likely is conflict or the threat of conflict to affect the market of the potential investment? How does the reality of the threat “on the ground” differ from that of the news coverage, and does it matter? Will the businesses assets or operations be located in an area where terrorism or other threats are credible? Example: Beacon Power Services — Both Boko Haram and the Niger Delta Avengers have been featured prominently in the 24-hour news cycle over the past year (and more). Our assessment of our investment into Beacon Power Services led us to believe that the risk of the activities of Boko Haram affecting Beacon Power Services was low — including the potential spillover effects of reduced tourism and increased governmental intervention. The Niger Delta Avengers announced their existence as we were closing our investment in Beacon Power Services; unlike the threat of Boko Haram, the Niger Delta Avengers directly affect the market Beacon Power Services operates in. However, we felt that a further decrease in the reliability of electricity provided by independent power providers and state-run power producers would potentially result in larger companies seeking to do business with Beacon Power Services — this view has also proven to be true, as Beacon Power Services is working closely with major Nigerian banks to provide comprehensive power solutions to those businesses. What role will the company play in the labor market, and what is the company’s plan to manage its human capital? What is the company doing to support the stability of its stakeholders, and how might the company do more? Will the company be viewed adversely by any stakeholder group due to its business model, business purpose or labor practices? If successful, how might the company support further social stability in the areas where it operates? Example: MoringaConnect — As a producer of premium, organic goods, MoringaConnect is exposed at many levels to the stability of its various stakeholders — the farmers whom grow the moringa, the communities where the moringa is farmed, the employees who help to process its products, etc. As organic, premium goods command higher prices in the market, we understood any risk to achieving this certification would have significant impact on our investment. For this and other reasons, we assessed the social stability risk as high in our investment into MoringaConnect — it therefore became critical that we understood how the company would manage its relationships with its outgrower farmers, what additional services it would provide to those farmers and how much it would pay the farmers for the moringa leaves and moringa seeds that make its core products. A system of community-enforced procedures, codified by contracts but largely enforced based on reputation and mutual benefits, led us to believe the social stability risk was mitigated to a manageable level. Despite the risks (perceived and real) in emerging markets, the fundamental needs of businesses exist and, where the pain is great enough, there are entrepreneurs solving these problems. This is one of the main lessons we are learning about entrepreneurs in developing countries: the obstacles that exist in these markets are matched by the local understanding and the tenacity of the entrepreneurs that have chosen to build scalable businesses to solve local problems. We’ve seen this in each of the companies we’ve invested in. It’s why we provide them with capital and why you should too. At VestedWorld, our unique model means we frequently rub shoulders with the full range of participants in the early-stage, emerging-markets investment ecosystem: the entrepreneurs, professional-investor set, and, perhaps most importantly, the base source of capital—so-called retail investors[i], including high-net-wealth individuals and families, and other accredited investors. While most investment funds in our space interact just as much as we do with the entrepreneurs, they rarely see much beyond their own back yard with respect to the retail investors. This post will touch on the motivations and level of engagement of the different players in the ecosystem; however, it will primarily focus on accredited retail investors and our conversations with them about the perceived risks that prevent them from allocating more capital to the geographies we focus on. Since the bread and butter of our existence is finding and funding entrepreneurs in emerging markets, we understand the many reasons why these entrepreneurs start businesses: to work for themselves, for the high-risk/high-return profile of the outcomes, to take advantage of an oft-overlooked friction in a local market, and, not least, to benefit their communities and home-country economies. We’ve found no shortage of entrepreneurs willing to make “the leap” (including locals, members of the diaspora, and internationals)—the number of inbound funding requests we will receive this year will number in the hundreds. Similarly, there is no shortage of professionals desiring to enter the emerging-market investing space, as evidenced by the growth of communities such as GIIN and TONIIC, as well as by the strong demand for these types of positions out of investment banks and consultancies, and business, law, and public policy schools. Whether you attribute it as a side-effect of the catastrophic use of financial instruments in the run-up to the great recession, as part and parcel to a wave of generational change in attitudes towards the purpose of capital, or as a natural byproduct (under a different name) of the crowding-out of the investment opportunities in the U.S., E.U. and Asia, the end point is the same: professionals are increasingly interested in the career of investing in opportunities in emerging markets. If recent years have seen an increase in the multitude of entrepreneurs seeking funding and an ever-growing number of professionals seeking to find, due diligence and invest in emerging-market, early-stage businesses, the result (you might think) should be a dramatic increase in the number of transactions being executed. This is, sadly, not the case. While the funding faucet appears to be unclogging itself bit by bit, the numbers are still infinitesimally small relative to the demographic-economic weight of these countries. As we’ve highlighted here before, the funding gap between early-stage U.S. companies and those in sub-Saharan Africa is enormous ($80 billion vs. $200 million in 2015). So what then, is the issue? As a fund that speaks to these investors on a regular basis as part of our syndication platform (which provides the opportunity for accredited investors to get foot-in-the-door exposure to our markets at commitment levels as low as $1,000), we’ve come to believe that it is due, in part, to a failure to engage and to educate the accredited retail-investor class about the risks associated with investing in emerging markets and things you can do to mitigate those risks. Here at VestedWorld, we refer to these risks as the “FIERCE” risks: Fraud, Instability, Expropriation, Regulatory, Currency and Enforcement of Contracts. I’ll touch briefly on the first of these risks, fraud, in this post and leave the rest for other posts. While we chuckle with the rest of the viral-media-watching-World at tongue-in-cheek jokes of fraud in emerging-market countries, we also know that it is no laughing matter—while we were ultimately successful in bringing on $95,000 in retail commitments to our most recent syndication of Beacon Power Systems, many of these conversations focused on the question of whether investing in Nigeria was safe from “fraud.” Commercials like these, while based off real-life incidents, reinforce the negative perceptions that U.S.-based investors already have of places like Nigeria. And it’s not just Nigeria: we will likely have many of the same conversations about the same risks when we speak to our VestedAngels about the opportunity to invest in Ghana with MoringaConnect. So how do we think about and mitigate the risk of fraud? First, the entrepreneurs that we invest in are not who you “think” they are. Compared to their U.S.-based counterparts, they’ve been working on their business for an average of 2 – 3 years. They aren’t trying to raise $1,000,000 to prove that an idea on a PowerPoint slide deck will work. More often than not, they have a product, in the market, that meets a demonstrable need. Some have graduated from top-tier universities (including Harvard, MIT, and Northwestern) and others are self-taught (see #2), but all are equally imbued with a driving passion for what they do. Moreover, we often spend 6+-months getting to know the entrepreneurs that we in invest in. Legal institutions in the countries where we invest often provide us with less security than a comparable investment in the United States, so our fraud mitigation strategy means that we can’t decide to invest over dinner and our relationship must be built on mutual understanding, shared vision, and benefits that accrue equally between us and each and every one of our entrepreneur partners. Additionally, a core component of our diligence is on and off-resume discussions with an entrepreneur’s references. Second, we universally require that the entrepreneurs we invest in have “skin-in-the-game.” For an emerging-market entrepreneur, this may not look the same as it does for a U.S.-based one and they may not have any capital to contribute to their fledgling business. Sometimes this skin-in-the-game comes in the form of passing down a well-paid job at an internationally-renowned organization (as Kwami did with NASA, as Bim did with Deutsche Bank, and as Ivan did with Citibank), other times as picking up a family and moving (sometimes home, other times to a new) emerging-market, and even others as a friends-and-family fundraising round where their community (and the entrepreneur’s reputation) is levered to the outcome of the business. We find that this last point—other stakeholders, based in the community—is especially important, and doesn’t have a ready corollary in the U.S. As has been pointed out most famously by Muhammed Yunus, reputation and standing with the community is a much-more-powerful driving force than the “strictly-business” attitudes prevalent with U.S. venture capital. We see leveraging this dynamic (and aligning our incentives with other stakeholders) as a powerful way for us to prevent fraud. Third, while we’ve only made five investments, all of those investments are into entities based in jurisdictions where we have no reservations about the rule of law and enforcement of contractual arrangements: Delaware, the United Kingdom and Mauritius. In addition, each of the countries where we’ve invested have made important strides towards encouraging foreign investment. Some countries have passed regulations ensuring that foreign investors have fair access to the country’s judicial system, while others provide favorable tax and administrative privileges for foreign investors. Overall, government officials in each of these countries understand the importance of attracting foreign capital and treating those investors fairly and that gives us a higher degree of confidence. Fourth, arbitration is the default channel for dispute resolution in all of our agreements and each of the countries where we invest have agreed to enforce an arbitrator’s ruling. For example, the Kenya Constitution specifically allows for disputes to be settled through arbitration and also requires the relevant governmental authorities, including courts, to take all actions necessary to enforce an arbitrator’s decision in commercial disputes. Other countries have even set up special courts to process arbitration rulings. Fifth, and perhaps most importantly, it just isn’t a realistic worry that we (or other established funds in our market), will hand your money over to someone who will run away with it the next day a la the email you received about a deceased uncle and the need for a U.S. bank account number to receive the largesse of an inheritance. However, it IS a realistic worry that what could have been a forty-cents-on-the-dollar recovery on a failed business becomes a complete loss due to the legal and institutional constraints. However, in our capacity as a service provider that helps accredited investors build the risk-on part of a well-diversified portfolio, we will not deliver returns to our investors through negotiating recoveries on failed businesses (of which there will be some), but through our successes where multiples of initial capital are returned. All in all, our ability as an ecosystem to communicate to retail investors why these, and other, risk mitigation measures result in an acceptable level of risk for the potential returns from our investments will make or break the end-game of catalyzing capital inflows to emerging markets. The “trust us—we know what we are doing” model seems to have worked in U.S. private equity and venture capital, but has proven stubborn in emerging markets—while WE may understand why it makes sense to invest in a Nigerian energy efficiency company, a Kenyan motor company, or a Ghanaian cosmetic and superfood CPG company, and other professional investors may know why it makes sense to invest in an emerging-market credit-scoring company or a pay-as-you-go solar company based in Kenya, we all need to get better about communicating why these investments still make sense after a full and honest review of the risks. Until retail investors are demanding, en masse, institutional products to get them exposure to our assets, true transformation will be beyond our reach, successful “exits” will be scarce, and companies will be starved for appropriately priced capital. [i] I’ll use the term retail investors here to denote the individuals whom the ultimate returns of these investments will flow to, understanding that some/many may not be active participants in the market, and/or may only invest through institutional channels. During our discussion about everything and nothing he shared a summer camp story when his camp leader taught him about the key log and how important it is in unclogging a logjam. My friend is a story teller and I could visualize the logjam, a crowded mass of logs blocking a river (like below), as he told me the story. That jam started from one log. Despite how crazy the jam is (like most jams) it starts from one log. The jam comes from one log intersecting with another log. And then more logs get jammed till it’s a convoluted mess of logs. That first log is called the key log. Move that log and, even though there is still some log moving to do, the jam is loosened. Therein lies the core point. The real work of clearing a log jam is not in moving logs around, the real work is in finding and moving or removing the key log. Sales is slow or is suffering. So we fire the salesperson. Might the key log/core issue actually be that the product is no longer serving the customers need? Or that the product isn’t a good one? Personal example: Your son is rebelling and you ground the child. Maybe the key log/core issue is that you need to spend more time with the child? Customers are not converting on your website so you spend more on social media ads. Might the real issue be that you haven’t clearly articulated or figured out your value proposition? There is still a lot of work after moving or solving the key log or core issue but the work is made easier once you’ve taken a step back to figure out the key issue. This simple key log heuristic applies to all forms of problem-solving. You do not need to be crazy smart, trained or certified to take the simple step of pausing and getting to the core of a problem before going about trying to solve it. It’s served my friend very well personally, professionally and financially. And he learned it in summer camp over forty years ago. Unsurprisingly, every new startup in the technology space is claiming some form of AI because they know that many investors are now interested in this hot space. It has become de-rigueur to throw the word “algorithm” into a pitch deck. Some investors find it irresistible: the promise that machines can learn and gain intelligence like humans do, with the ability to gain intelligence exponentially faster (and probably better) than humans. The thinking is that AI can solve a ton of problems because machines (and algorithms) are less biased than human beings and this automatically makes them better than the millions of workers who do some of these jobs. Granted there are some jobs that it is better to have automation take over (e.g. sorting mail at the post office) but there are more jobs that are probably best refashioned into roles where AI is augmentation and not replacement. But from the noise we all hear from the traditional venture capital investors there is no problem that cannot be solved using AI; it is the new hammer that makes everything look like a nail. Do I think AI is unimportant? Far from it. I believe it will bring a huge leap in our capabilities as knowledge workers in a world that is fast changing due to technological advancements. So why am I railing against AI? I am not railing against AI, I am railing against sheep like tendencies, by entrepreneurs and investors alike, to chase after the seemingly next big thing in a world where there are still a lot of problems to solve (read my colleague Euler’s excellent blog post on this here). By chasing less impactful or, in this particular case, crowded opportunities/markets we all miss out on the possibility of pouring our scarce resources of time and money into solving real problems. Unfortunately, the effect is that everyone rushes in, good money and bad money flows in because folk do not want to miss out on the next big thing and, just as quickly as it started, the bubble bursts. Left in its wake will be a slew of investors who have made bets and destroyed value, and entrepreneurs who have spent and wasted time chasing less impactful opportunities. So what it is the point here? The point is that we need to start playing the long game as we build businesses and recognize that there are markets of opportunity where a little can still go a long way and you can do well (generate huge returns) and do good (impacting the lives of millions of emerging market citizens). It’s why we do what we do at VestedWorld. Everyday. Raising capital is one of the biggest hurdles to launching any business. This problem is even greater in countries like Ghana, where we made our most recent investment in MoringaConnect. While venture capital firms poured close to $80 billion into U.S.-based early-stage companies last year, early-stage companies across the entire African continent raised less than $200 million. That’s less than a quarter of 1% percent of the amount raised by their U.S. counterparts.